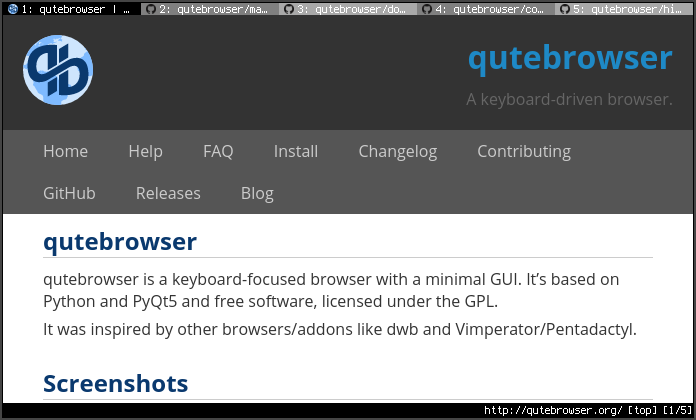 qutebrowser is a keyboard-focused browser with a minimal GUI. It’s based on Python and PyQt5 and free software, licensed under the GPL. 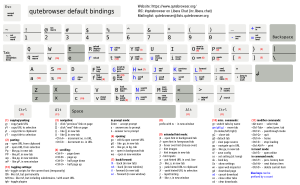 It was inspired by other browsers/addons like dwb and Vimperator/Pentadactyl. 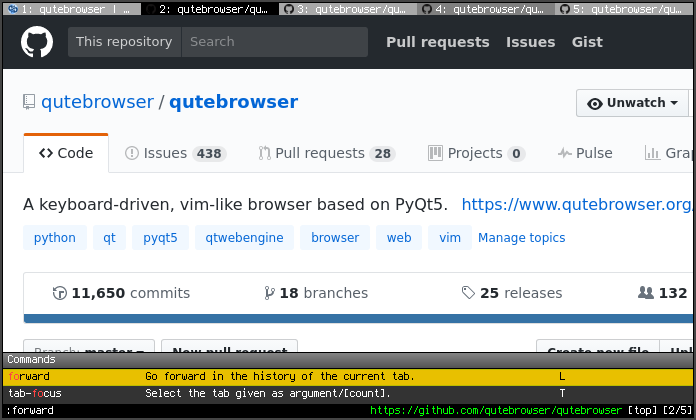 See the github releases page for available downloads and the INSTALL file for detailed instructions on how to get qutebrowser running on various platforms. You can get help in the IRC channel #qutebrowser on Freenode (webchat), or by writing a message to the mailinglist at qutebrowser@lists.qutebrowser.org. There’s also an announce-only mailinglist at qutebrowser-announce@lists.qutebrowser.org (the announcements also get sent to the general qutebrowser@ list). If you’re a reddit user, there’s a /r/qutebrowser subreddit there. You want to contribute to qutebrowser? Awesome! Please read the contribution guidelines for details and useful hints. Use the built-in :report command or the automatic crash dialog. 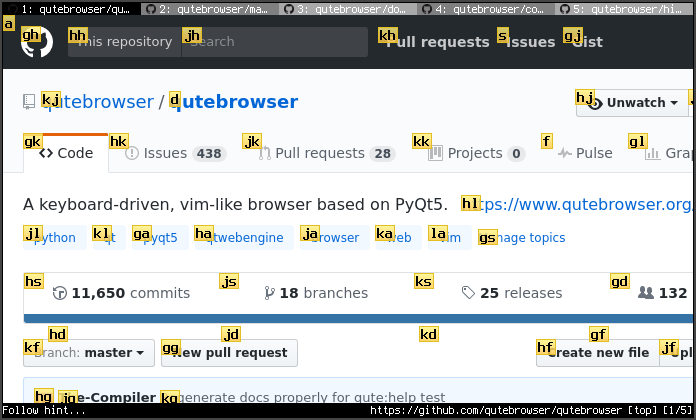 Open an issue in the Github issue tracker. Write a mail to the mailinglist at qutebrowser@lists.qutebrowser.org. For security bugs, please contact me directly at mail@qutebrowser.org, GPG ID 0x916eb0c8fd55a072. 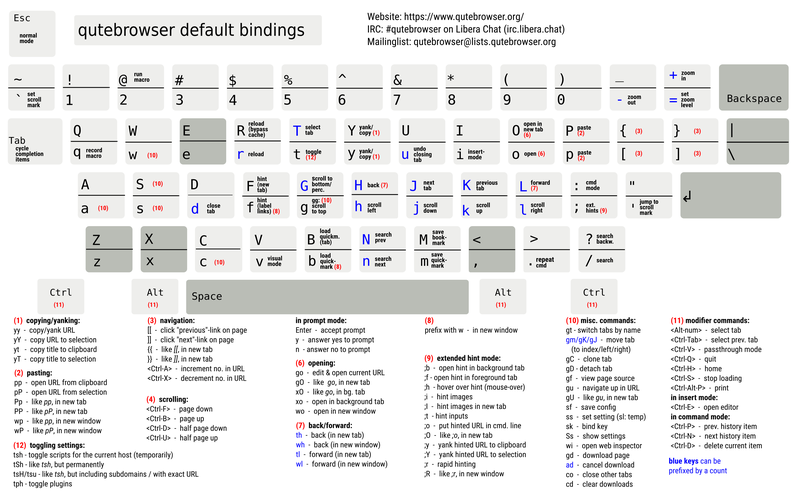 cssutils (for an improved :download --mhtml with QtWebKit). On Windows, colorama for colored log output. asciidoc to generate the documentation for the :help command, when using the git repository (rather than a release). 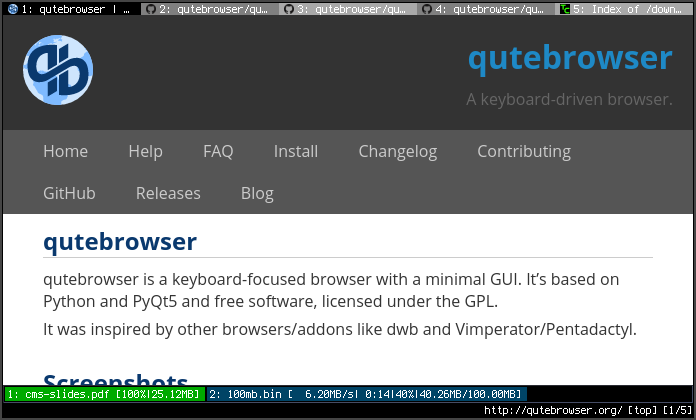 See the documentation for directions on how to install qutebrowser and its dependencies. If you want to give me a beer or a pizza back, I’m trying to make it as easy as possible for you to do so. If some other way would be easier for you, please get in touch! Thanks a lot to MacStadium for supporting qutebrowser with a free hosted Mac Mini via their Open Source Project. Thanks to the HSR Hochschule für Technik Rapperswil, which made it possible to work on qutebrowser extensions as a student research project. qutebrowser’s primary author is Florian Bruhin (The Compiler), but qutebrowser wouldn’t be what it is without the help of hundreds of contributors! Also, thanks to everyone who contributed to one of qutebrowser’s crowdfunding campaigns! Many projects with a similar goal as qutebrowser exist. Most of them were inspirations for qutebrowser in some way, thanks for that! Firefox addons (based on WebExtensions): Vimium-FF (experimental), Vim Vixen, VVimpulation, Tridactyl (working on a better API for keyboard integration in Firefox). You should have received a copy of the GNU General Public License along with this program. If not, see https://www.gnu.org/licenses/gpl-3.0.txt. qutebrowser optionally uses pdf.js to display PDF files in the browser. Windows releases come with a bundled pdf.js. pdf.js is distributed under the terms of the Apache License. You can find a copy of the license in qutebrowser/3rdparty/pdfjs/LICENSE (in the Windows release or after running scripts/dev/update_3rdparty.py), or online here.